We recently had the opportunity to discuss the fresh dog food delivery industry with Alex Jarrell, Chief Experience Officer and co-founder of NomNomNow. If you’re tuning into this article without ever hearing of NomNomNow, I highly recommend you check out our hands-on review here to see why we love it so much. Q: Can you give us any insight into how you source ingredients? Alex: Absolutely! In order to understand ingredient sourcing, let’s take a step back and talk about the ingredients themselves and why they were chosen. All of our recipes are formulated and tested by board-certified veterinary nutritionist, Dr. Justin Shmalberg. In order to create balanced and complete recipes free of filler, Dr. Shmalberg begins by choosing functional ingredients, meaning each one serves a purpose in the health of the pet eating our meals. 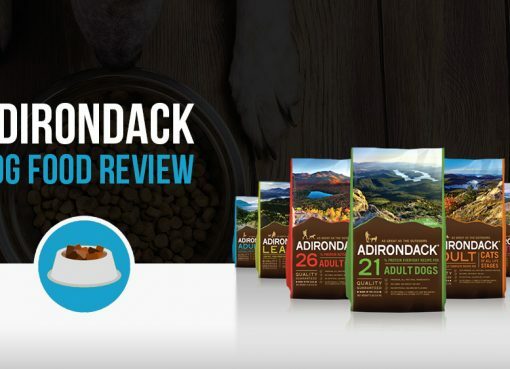 We only use ingredients that are Grade A USDA approved for human consumption to ensure every piece consumed is of the highest quality and is the most beneficial to your pet. No by-product or feed-grade here. These ingredients are then cooked individually to their optimal temperatures as recommended by the FDA for safe human consumption and maximum nutrient retention. Finally the cooked meals are tested to ensure balance and completeness, meeting and exceeding the AAFCO guidelines for an all life stages pet food. Q: What sets you apart from competitors? 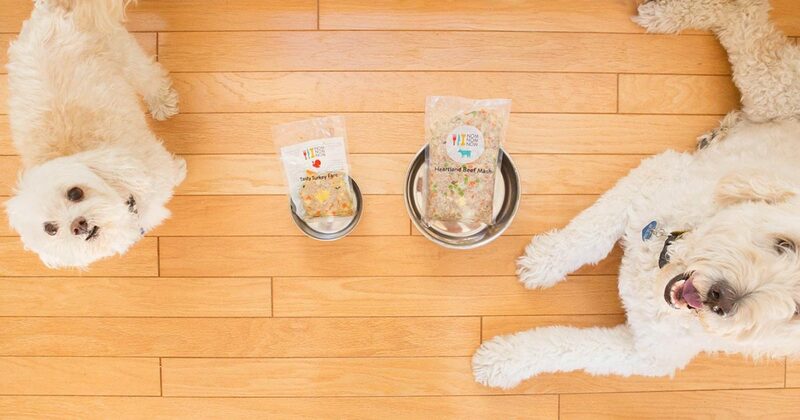 Alex: We see mainstream pet food, specifically companies that make kibble, as our biggest competition, since there is a big education curve for pet parents overall. Most of them don’t even know that a fresh diet is an option! We commend the companies in our segment of the pet food market for the work they are doing to improve pet health. Our category is growing so rapidly and it’s wonderful to see how many pets are now eating fresh, cooked meals. That said, we do have a number of differentiators that set us apart. We are the only made-to-order pet food on the market. We don’t keep inventory but rather we prepare meals throughout the week so that our Nommers are eating their food just days after it is prepared. We are the only truly custom-portioned pet food available. 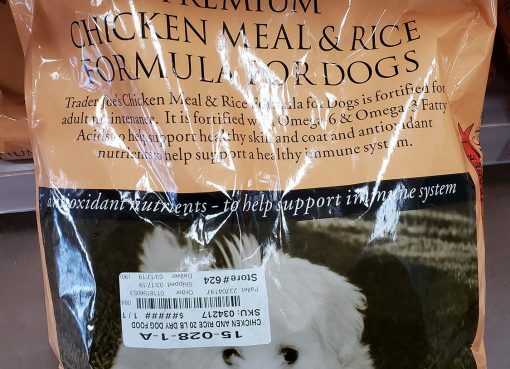 We portion each individual meal down to the gram for what each pet needs calorically, so that one bag is one meal. Other companies may claim to be pre-portioned, but if you have to measure or scoop the food, then we don’t see that as being pre-portioned. We are backed by experts. All of our recipes are formulated and tested by Dr. Justin Shmalberg, one of less than 100 board-certified veterinary nutritionists in the U.S. Our food safety efforts are led by our Director of Microbiology, Dr. Ryan Honaker. Dr. Honaker is, one of the country’s foremost experts in microbiome manipulation, infection therapeutics, and microbial community profiling. We completely own and operate our own facilities. We oversee every step of the production process from ordering and prepping ingredients, to gently cooking the food, to custom portioning each meal, to packing each box – everything except the actual shipping! Q: You recently expanded to include fresh food for cats – do you see this market as strong as fresh dog food? Alex: We are so excited to serve our feline friends! Cats are our family too and deserve fresh, healthy nutrition. However, cats may take a bit more convincing of that. Biologically, cats are neophobic creatures, meaning that they are suspicious of new things especially when it comes to their food. A change in texture, taste, consistency, or smell can trigger a skepticism and thus a reticence to try the new food. Working with Dr. Shmalberg, we have gone to great lengths to ensure cats are excited about this change. For example, our recipes for cats are formulated to most closely resemble the nutritional makeup of a prey species that your cat might hunt, right down to the roughage that would be present in their prey’s digestive tract! Converting our feline family members into fresh-foodies is a team effort between our experts and the pet parents that feed NomNomNow. Together we can do it! Q: What type of growth do you see the fresh pet food industry having? The premium pet food sector is growing exponentially, and we are seeing the greater pet food industry finally catch up with trends in human food. The two trends that are most prevalent in my mind are: a heightened awareness and focus on health and nutrition, and the humanization of our pets. We know the impact that diet has on our health and wellness. When we eat better, we feel better. Eating a diet strictly made up of fast food and candy would not help us be our best. Sure we could likely survive on that diet for some time, but would we thrive? So why wouldn’t we expect the same to be true of our pets? Why do we think that serving them processed foods and treats would result in the longest, healthiest, happiest life? 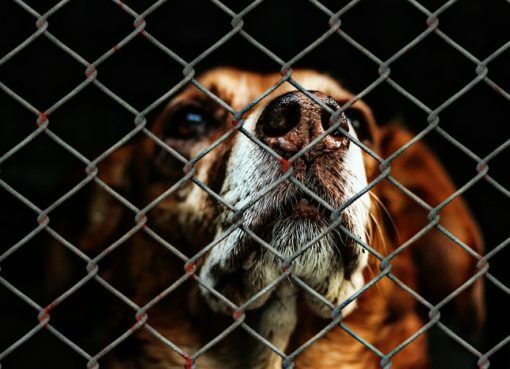 That thought really speaks to another trend that is greatly influencing the pet sector as whole: humanization. Our pets aren’t seen as property anymore; they are part of the family. My mini Australian Shepherd, Harlee, is our “fur”st child and we refer to our (human) son as her little brother. She is an important member of our family and we want to make sure she is with us for as long as possible, ideally seeing my son off to college. The cornerstone of a long, healthy life for her is her nutrition. As more pet parents adopt this way of thinking, we will continue to see massive growth in the fresh pet food industry. It’s so funny that you would ask. Whenever I am explaining what we do, the first thing people jump to is “Oh! 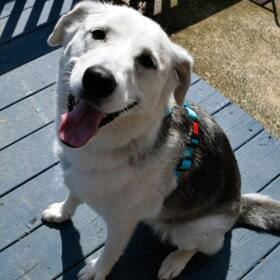 You are like Blue Apron for pets.” However, we are actually quite different. We don’t face the same issues as human meal kit companies, for a number of reasons. First, we’re prepare and send fully cooked meals. Meal kits for humans are essentially a bundle of groceries that you have to prepare yourself. Secondly, our product is designed to be a necessity, and the only food consumed; meal kits are meant to complement existing diets. Thirdly, pets don’t do many of the things that make it tough to repeatedly serve people: they don’t go on fad diets, go out to happy hour, or get a taste for a new cuisine. Finally, if people are happy with their pets’ diet, they won’t want to make a change without good reason (the same doesn’t apply to our choice of dinner menus as humans). Alex Jarrell, Chief Experience Officer and co-founder of NomNomNow, is an expert in customer experience management, and is a true caretaker at heart. Growing up on a farm in Tennessee as the daughter of a veterinarian, Alex’s love of animals blossomed early in life, and has shaped who she is today. After witnessing dramatic health improvements in her own dog, Harlee, as a result of a fresh diet, Alex was determined to help pet parents everywhere experience the powerful benefits of nourishing their pets with fresh food. She set out to create the healthiest, most effective pet nutrition company the world, and strives to make the pet food industry drastically more transparent. Alex cares deeply about transparency and education in the pet food industry, and wants to provide pet parents with the tools they need to ask the right questions of pet food brands, understand the importance of proper nutrition, and make well-informed decisions about their pets’ health.